Captain is a pony cross (most likely with some draft) who was recently returned to MHARF because his original adopter could not keep him. 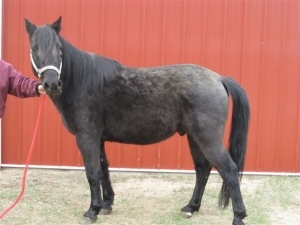 He is in his late teens and stands 13.2hh. He is broke to ride but it has been many years so he will need to have an assessment before we know what level rider he is suitable for.